Anything I can do to help; let me know. Kinda funny you were talking about the organist. This month's editorial is called MAKING A STIFF DECISION: The biggest headache faced by any rock fan, says HENRY YATES, is choosing a song for your wedding dance. Choosing one for your funeral is dead hard too. Choosing a song for your wedding dance is much more difficult that choosing the person you dance it with. It's like walking up to a jukebox and being told you're only allowed one track- it has to define your character and essence, and you'd better get it right because everyone's listening. Choosing a song for your funeral is just as tough, but with the added pressure that you get buried or burnt at the end of it. I take long enough at the jukebox when I've got a quid and five choices; is it any wonder that I struggled with the wedding, or that I'm already shitting myself about the funeral? Probably one of the best ways to get to know me is to look at my son,Christopher. He's got a myspace account that pretty much sums him up. To see Christopher's art accepted by everyone around here this week has been fabulous. my boy has created a masterpiece of PSYCHEDELIC FOLK ART!!!! I got this photo comment this week from this cat who I knew back when he turned 21. Hope I get to see ya NEXT time you're in T-town! would not be born for a few more years. Aired on Mobile's NBC WPMT-TV Channel 15 on March 14, 2006, this short clip filmed on Le Cren Street near Bay Shore Avenue in suburban Mobile has captured the imagination of the planet. GREATEST VIDEO EVER SEEN on YouTube! What a wonderful cultural phenomona to be credited to the good people of the Crichton community of Mobile! is dedicated to the rap song "I WANNA KNOW WHERE DAH GOLD AT"
WHAT AN OUTSTANDING ARTISTIC ACHIEVEMENT FOR THE PEOPLE OF ALABAMA! Crichton's Alice Sellers' Words Are Now THE CATCH PHRASE OF THE CENTURY! YOU CAN BUY THE T-SHIRT! THE ORIGINAL ART SOLD FOR $1100 ON EBAY! YouTube is now saturated with music videos inspired by THE ALABAMA LEPRECHAUN! Here's some KILLER LEPRECHAUN BEATS! These Remixes Have Made Crichton's Derek Fletcher a STAR! THERE'S EVEN A MOVIE TRAILER! Read the thousands of comments on these videos. THE WORLD LOVES 'EM SOME BAMA LEPRECHAUN! Imagine the future cross cultural links that will spread the leprechaun message worldwide! In honor of the ALABAMA LEPRECHAUN becoming a world-wide cultural icon, I am going to transcribe both Mobile NBC Channel 15's Brian Johnson's hilarious report which started the ball rolling along with Channel 5's clip. Female Channel 15 News Anchor: Well, just in time for St. Patrick's Day, crowds are coming by the dozens to get an up-close view of what some say is a piece of Irish folklore. Male Channel 15 News Anchor: Some people in the Crichton area of Mobile say a leprechaun has taken up residence in their neighborhood... a leprechaun. Brian Johnson: Curiosity leads to large crowds in Mobile's Crichton community. Many of you bring binoculars, camcorders, even camera phones to take pictures. Derek Fletcher: To me it look like a leprechaun to me. All ya gotta do is look up in the tree. Who all seen the leprechaun, let me hear ya say, "Yayyyyyyy!!" Brian Johnson: Eyewitnesses say the leprechaun only comes out at night. If you shine a light in its direction, it suddenly disappears. This amateur sketch resembles what many of you say the leprechaun looks like. Others find it hard to believe and have come up with their own theories and explanations for the image. Alice Sellers: COULD BE A CRACKHEAD WHO GOT HOLD TO THE WRONG STUFF AND IT TOLD HIM TO GET UP IN A TREE AND PLAY A LEPRECHAUN! Concerned Citizen: We're gonna get down to the bottom of this. Yes, he's still down there. Don't be afraid. DON'T BE AFRAID, MAN! Brian Johnson: This guy helping to direct traffic says he's prepared for his encounter with the leprechaun. He's suited up from head to toe. Concerned citizen: This wards off spells right here. This is a special leprechaun flute which has been passed down through thousands of years ago from my great-great grandfather who was Irish. I just came to help out. Brian Johnson: Others just came to get lucky in hopes that a pot of gold may be buried under this tree. Enterprising Crichton Citizen: I gonna rent a backhoe and uproot that tree! I WANNA KNOW WHERE DAH GOLD AT! Brian Johnson: This is Brian Johnson NBC 15 News. Female News Anchor: People will do anything for a pot of gold...ANYTHING! Male News Anchor: You know what I like. I like the amateur sketch of the leprechaun. Male: It looks like somebody got a really good look at it and got that good drawing. Female: Who did that? I want to know who sketched that. Reporter: The crowds started gathering around sunset. Old gray headed woman: It's there. It's right up there. It's a face. A face...the eyes...the nose...the mouth. It's just a face and right now he's not happy. Reporter: The people who see the leprechaun say you can see it better at night and that's when the crowds really start coming out." Female Crichton resident: Now step back some of y'all and you see it. If you just look. You see it? Can you see it? Y'all see it? Looks like he's smiling right now. Male Crichton resident: I wanna see it. If it's here, I wanna see it. When it sposed to pop up? Another male resident: Actually my brother came in from Atlanta last Sunday night and we was standing out...standing around... and he look and he say,"Y'all not gonna believe this but it looks like a man is up in that tree and I said,"Man, you crazy!" Reporter: Pretty soon there were more people creating traffic jams. All to see what has became known as "THE LEPRECHAUN". Local girl: And he was smiling. Reporter: He was smiling, huh? Girl: And then one mo', I thought he tipped his hat. Reporter: What do you think about all the crowds? What's it been like the last couple of nights s far as the crowds? Male Crichton resident: Look like Mardi Gras. All we need is a float. Reporter: People say they've seen the leprechaun and some people say they haven't but one thing's for sure: Nobody's found a pot of gold yet. Reporting from Mobile, Steve Alexander, News 5. Now don't ever say a light-skinned person never made you smile! if all the citizens of ZERO, NORTHWEST FLORIDA sign the petition to induct Wayne into THE ALABAMA MUSIC HALL OF FAME. We gotten 245 signatures so far so please take a few moments and help Wayne get the recognition he deserves. 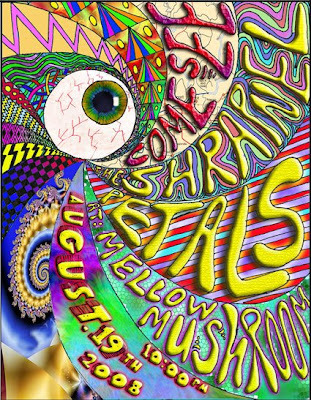 THIS IS FIRST ROCK CONCERT POSTER my son Christopher ever designed! Oh well,I better hush lest I get censored again! But I'm sure all the bands involved appreciate you and all the FREE "PUBLISTY"
YOU HAVE GIVEN US AND ESPECIALLY WILBUR JR. I told Wilbur about your transcription of the entire radio interview w/ him & Buie and he told me while he was up there you recited one of Bear Bryants' speeches verbatim!! My cousin called a while back saying he had a partner who wanted to book a show w/ Willie Nelson or some comparable act at the Panama City Civic Center but I never heard back from him. That might be worth looking into! Here's something from an old article the day Pigpen was laid to rest. It was in a '73 Rolling Stone, April 12th. A long time friend of the group, in going through the apartment on Saturday, discovered a tape cassette McKernan had recorded in the last week of his life. On the tape he plays slow, gospel/blues piano and sings in an eerie, frail voice. One of the songs is extraordinary for the way the lyrics and phrasing shift in and out of stanza form, and the melody likewise seems to be making its own way independent of any repeating pattern. They published an article called 40 GREATEST SOUTHERN ROCK SONGS EVER & #9 is by ARS. 'We played Macon, Georgia with Lynyrd Skynyrd, it was a rock 'n roll hoedown/ Van Zant let that Free Bird fly, don't you know he wasn't foolin' around'. Called Buie & told him about it. He love it. The cover story is called THE CURSE OF LYNYRD SKYNYRD ~ A Southern Ghost Story. 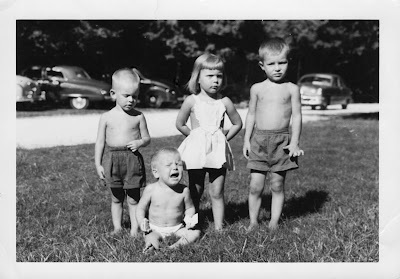 A couple of citizens of ZERO, NORTHWEST FLORIDA are quoted by the author Jaan Uhelszki. The oft-told, star-crossed saga of Lynyrd Skynyrd has been portrayed as the convergence of opportunity, preparedness, talent and luck. What were the chances of Dylan associate, Blues Project founder and producer extraordinaire Al Kooper walking into an Atlanta dive in the summer of 1972 and spotting the band? Kooper had just persuaded MCA Records to bankroll his Sounds Of The South label in an effort to compete with Phil Walden's Capricorn Records (home of the Allman Brothers). He was bowled over by Skynyrd's professionalism, arrangements, guitar work and mostly by short and stocky lead singer Van Zant, who showed up in a black T-shirt and droopy jeans. "At first he annoyed me, because he was a mic stand twirler," says Kooper from his home in Boston. "The drum major of Lynyrd Skynyrd, but instead of a baton he had a microphone stand that was, by the way, lightweight aluminum-it only looked like it was heavy. That just got me. Plus I was amused because he left his shoes on the side of the stage. But looks didn't really matter to me. The music was incredible. How can you not respond to the first time you hear I AIN'T THE ONE or FREE BIRD?" "Ronnie's meaness, they all have it," remembers Jeff Carlisi, a neighbour of the Van Zants, and bandmate of Ronnie's younger brother, Donnie Van Zant, in .38 Special. "He grew up in Shantytown [the rough and tumble West Side of Jacksonville]. Violence was just part of the culture there. If you didn't fight for it, somebody would take it from you." "I remember once Ronnie stuck a wooden coat hanger down his pants at a bar to fight to defend the honour of one of the girl singers. He turned to me and said, 'Are you with me?' I didn't have a choice but to come along," said Jeff Carlisi. "They were human vultures," recalls road manager Craig Reed. "All the money that was in my pockets was taken. We had been playing poker right before the crash, and I was winning big. I had a couple of grand that was taken. All my T-shirts were taken, all my jewellery, a skull and crossbones coke spoon. Silver bullets from GIMME BACK MY BULLETS. All gone. They went through our suitcases. They took anything that said 'LYNYRD SKYNYRD'. They even went out and took the side of the plane that was painted 'LYNYRD SKYNYRD'." I first came upon the band for the first time at a tough bar in downtown Atlanta. They were performing for a week and I was in town producing an album for somebody. 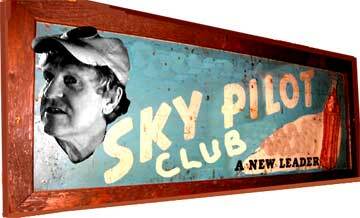 Every night, we would frequent this club, as they treated us quite nicely there. The first night they played I was instantly taken in by the quality of their material. By the third night I asked if I could sit in on a song. As they had no keyboard player in their genesis, I sat in on guitar. As I slipped on one of their excess guitars, I asked "What song? What key?" "MEAN WOMAN BLUES, " Ronnie Van Zant instructed, " In C#". Boy, that made me laugh out loud. It was their defence in case a sitting-in guitarist was not very good and only knew a few chords. After starting playing guitar as age 12, I had no problem in C#. It took me three months of hounding their manager to sign them. Toward the end of the three months, Ronnie called me at home late one night. "Al, I'm sorry to call so late, but we are in deep trouble here. Someone broke into our van tonight and stole all our instruments and amps. Without those, we cannot put food on our families tables or pay our rents or get any gigs. I was hoping you could lend us $5000..." I quickly replied, "All I need is the address you want me to send it to, Ronnie and you'll have it in two days..."
After a moment of silence he said, "Al, you just bought yourself a band for $5000. Thanks from all of us!" By the next week, their contracts were signed and they were back on the road. In between recording the first album and its release, they were back playing at that bar I discovered them in. It was a very tough place. I saw someone shot dead outside there one night, there were numerous bar fights as common events there. There were two floors; on the first floor the bands played surrounded by numerous bars; on the second floor, there more bar locations and many pool tables. During a break, I was sitting at a table talking to some people upstairs, and Allen and Gary pulled me out of my seat and dragged me to the bar. The two of them then lifted me up and deposited me behind the bar and told me to sit down out of sight. Within 30 seconds, there was a huge bar fight involving our favourite band. They were just looking out for their producer, who grew up in Northeast USA, where such fighting was replaced by drag-racing and quizzes about the B-sides of records. I was obviously not the hand-to-hand combat model, as usually raised in the South. I will always recall that gesture as a sign of true friendship early on from them. My hair didn't even get mussed! THE GREAT DHS SENIORS OF '68 WHO F*CKIN' RATE!!!! Tiger Jack: A little refresher on Buddy Buie. Buddy is a legendary songwriter in his own right. He wrote GEORGIA PINES with John Rainey Adkins, one of the better guitar players I ever heard. John Rainey was a good one. I understand he passed several years ago but he could play, man. Anyway, Buddy wrote Georgia Pines and he wrote SPOOKY for the Classics IV and produced them and later was the binding force behind the ATLANTA RHYTHM SECTION. Wilbur: & Traces, don't forget TRACES. Tiger Jack: That's a good song. Did you write that Buddy? Buie: Yep- myself and J.R. Cobb and Emory Gordy. Tiger Jack: That's a good song! Wilbur: I like that next to GEORGIA PINES. Buie: & nothing I'd like better to do, since Wilbur has started his new career; coming back- I'd like to try to set down and write a song. He's writing so good for himself he probably wouldn't even look at my songs now. Tiger Jack: I bet he would. Wilbur: YOU BET I WOULD! Wouldn't that be fun. Go back down to old Findley's studio. Play at Playground. Wilbur: I want to talk about Playground after a while. Tiger Jack: Well, go ahead. Let's talk about it now. Buddy Buie: Tell 'em about it. Tell 'em about Playground. Wilbur Walton Jr.: It's just a wonderful place. Tiger: Is that in Dothan? Wilbur: No, it's in Valparaiso which is away from the beach. & the atmosphere in that town is just wonderful! You know if you to a big city studio, it's pretty frantic. I wanted to get a plug in for Jim & his studio. Buie: That'd be good. Go down there and cut a record with as many of the old guys that's left. Wilbur: Well, Buddy, you've still got songs you've written that have never been recorded that are real good and I know one of 'em but I don't think I'm a troubadore anymore but it's a real good country song. Aren't you doing a song with J.R. called ADDICTION for Rascal Flatts? Buie: Uh huh, we're working on it. Matter of fact, we're very close to getting them recorded. Wilbur Walton Jr. : You don't need to quit singing or writing songs. Wilbur: You don't reach a certain age where you can't do it anymore... I hope. You're the one who quit for 30 years! Nobody knew I didn't quit. Tiger Jack: Everybody thought you did. Wilbur: If anybody thought about it all they probably said, "He quit." I doubt anybody thought about it but I never thought about quitting. Tiger Jack: See that all gets back to the unavailability of places where you can play nowadays. but I wanted to sing. I can't go to the beach, go to the OLD DUTCH and get a band together and play for college kids. Tiger Jack: He could get some old college folks like us. Wilbur: Four hours a night? I'd rather paint the building. Wilbur: I'd rather paint the building than play in a place for four hours a night. Like you used to have to do in them clubs, four or five hours a night. Buie: We could start back and just like the old days. I'll get on the telephone and call Tuscaloosa. Call all the colleges and book you in colleges. Wilbur: Do they have one hour parties up here now? Tiger Jack: You think that's all you could last! Hey Buddy, we got to take a break and we're gonna let you go. We appreciate you calling in this morning and were gonna have Johnny Wyker on here with Wilbur in a minute. Buie: Great, oh great, I was gonna ask where he was. Tiger Jack: Well, I guess he's still in the Shoals. We'll find out here in a minute but he's gonna visit us. Good luck with your rehab and hope everything goes well. Buddy Buie: Thank you, pal. Y'all have a good time. EVERYONE IN THE STUDIO: See ya, Buddy. Thanks a lot. Tiger Jack: We'll be right back with Wilbur Walton in five minutes I guess after the news. Big Dave: We'll take a break for ARN. You guys relax. We've got more on the Morning Show on TalkRadio 12.30 WTBC and your also listening to WVUA Television. I appreciate you sharing this with me. You axed fo' it so I triedzzzzzzzzzzzzzzz my bestisizzzzzzzzz to deliver. I doing aw rite but I can take it but I can hardleyzzzzzzzzzzzzzz takezzzzzzzz it!